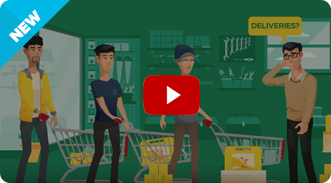 Watch our short video to learn how Deliveree helps businesses save money and time. Deliveree Thailand is an on-demand logistic support app for both web and mobile devices that allows package senders to find the nearest available delivery driver and vehicle. Deliveree’s service is very unique compared to traditional delivery companies in Thailand and throughout Southeast Asia. The Deliveree app is designed to assist individuals and businesses to make on-demand deliveries for packages that need to be delivered the same day the transaction is made. The app also offers a customized type of delivery service, so clients can save money by only paying for the services they chose. Our clients are mostly those individuals and businesses needing access to a shipping service courier, fast courier, door-to-door delivery, or third-party delivery support in Thailand. Deliveree is the best on-demand delivery service. Get connected to thousands of professional drivers in Thailand. Easy, Fast and Affordable. Request your booking and let us match you with a delivery driver and vehicle now. Welcome to Deliveree, your one stop for all of your logistics and delivery needs. Deliveree Thailand is an on-demand logistic support app for both web and mobile devices that allows package and cargo senders to find the nearest available delivery drivers and vehicles. Deliveree’s service is very unique compared to traditional delivery companies in Thailand and throughout Southeast Asia. 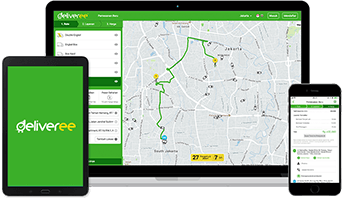 The Deliveree app is designed to assist individuals and businesses to make on-demand deliveries for packages and cargoes that need to be delivered the same day the booking is made. The app also offers a customized type of delivery service, so clients can save money by only paying for the services they chose. Our clients are mostly those individuals and businesses needing access to a delivery service courier, fast courier, door-to-door delivery, or third-party delivery support in Thailand. We make delivery and logistics simple. All you have to do to be able to enjoy our incredible service, is to log onto the Google or Apple store and download our FREE application (or alternatively our web-app via your internet browser). Following that you can log in and place your booking with us immediately and enjoy same day delivery in Bangkok. In just a few simple steps you can have your goods collected by one of our exceptional, independent drivers, who will then deliver it to your desired destination. The beautiful thing about this express delivery application is that you will have all of the relevant information on your designated driver, in-app. You can also track them in real-time and watch as your goods makes its way to the desired destination. If you have any queries or issues throughout, there is a live chat option available where you can speak directly with your designated driver to track the progress of your order. Or alternatively you can call our friendly daily operated customer hotline at your convenience. There are so many benefits to rolling with Deliveree. For one thing we are competitively priced! All of our drivers are entirely independent and are free to use their own vehicles. Naturally, we run thorough checks on these vehicles before they are allowed to pick up their first order. This is to ensure that we can maintain the exceptional quality of service that we guarantee for all of our clients. We will collect your goods in a record time and have it delivered promptly and efficiently without delay. So, how does our express delivery service work? Well, once you place your booking with us you will be paired with the nearest, relevant driver to your location. This typically takes anywhere between 1 and 2 minutes. Following that, your designated driver will make their way to you immediately which is typically in less than an hour! Then, they will pick up your goods and forward it to the desired location, sending you signed confirmation upon delivery for security. It’s fast, it’s simple and it’s affordable. There has never been a more effective delivery and logistics service operating in Thailand and we have raised the bar to greater heights, offering individuals and businesses a whole new experience. Deliveree provides a long haul delivery service with the best fixed pricing for top routes in Thailand. Including Ayutthaya, Chiang Mai/Lamphun, Chonburi, Nakhon Ratchasima, Rayong, Songkhla, Samui Island and Tak. In addition to that, you can tailor your delivery service order to suit your specific requirements. Not only is the application available for personal use, but there is also an easy-to-enroll business program for entrepreneurs and companies of any size that are interested in hiring us as their business delivery service partners. You can then select the size of the vehicle that you would like for the delivery and you can add up to 10 destinations per order. This is ideal if you are struggling with distribution and meeting deadlines. Allow us to assist you by offering the most advanced, technologically savvy logistics service in Southeast Asia and Thailand as well. You can place an order with us for delivery from anywhere between 1 hour to 4 weeks in advance. And, there’s no limit to the amount of orders that you can place with us. So, while there are 10 destinations per order, you’re more than welcome to place several orders with us if you’re looking for an efficient third-party delivery service. To top it all off, all of our independent drivers are knowledgeable and highly-trained. This means that they are more than qualified to handle your delivery with the utmost care and consideration. They have a significant advantage being local drivers who are familiar with the roads and traffic patterns. This means that you can rest assured in the knowledge that with Deliveree, you are in the safest hands. If you want a fast, efficient and affordable delivery and logistics service; you have arrived at your destination.